Botswana’s ever-changing scenery is awe-inspiring, even for the most discerning safari enthusiast. Tanzania’s pristine wildlife experiences and iconic natural features make for some of the most outstanding experiences in Africa. Zimbabwe’s prolific untamed wilderness and refined safari experiences have breathed new life into an already beloved destination. 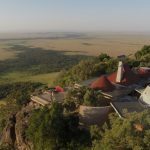 Because you want to do something that no one else can… Whether we get you into barely seen pockets of the Brazilian Amazon or build you an exclusive camp from scratch in the Maasai Mara, we create rare experiences of the world with unparalleled insight. “You know you are truly alive when you’re living among lions.” ― Karen Blixen, Out of Africa. A collection of our globetrotting travel notes. Discover all that inspires us in the industry, from the latest hotel openings to travel tastemakers.